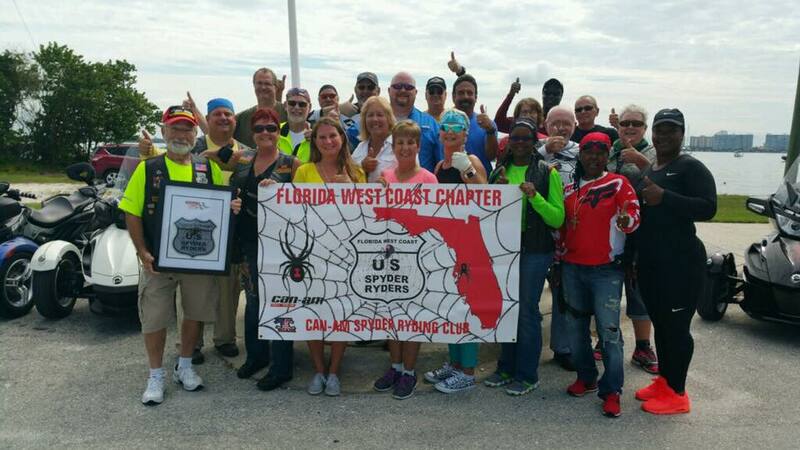 The objective of the US Spyder Ryders - Florida West Coast Chapter motorcycle ryding club is to promote Can-Am Spyders and Spyder Ryding while focusing on having fun and at the same time attempting to do the most good for our community and local charities. We accomplish this objective with positive interaction within our community while providing a safe and controlled environment for our members during all our functions. We pride ourselves in the involvement of many community and charitable events. We will have local rydes, long distance rydes, socials, and fund raiser activities. WE SUPPORT "ALL" OF OUR SPONSORING DEALERS!